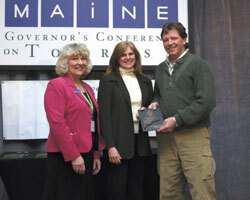 ROCKPORT, Maine -- Rick and Debbie LeVasseur, owners of 5 Lakes Lodge in Millinocket, were presented with the Maine Tourism Award for Accommodations recently during a ceremony at the Annual Governor's Conference on Tourism held at the Samoset Resort. 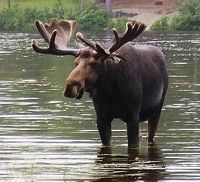 The awards, which are sponsored by the Maine Tourism Commission, are presented to those who lead by example. Nominated by their peers in the tourism industry, the individuals and businesses honored at the conference luncheon were selected in a juried process. 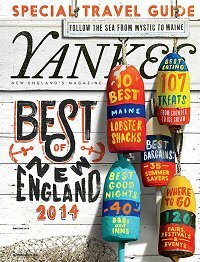 "The Maine Tourism Awards honor the best and brightest in the state's largest industry," Fichtner said. 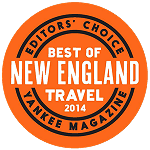 "These winners lead the way in helping make Maine a top destination for visitors from around the world." 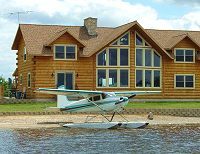 The LeVasseurs built the expansive log lodge on a peninsula of South Twin Lake and opened for business in 2004. The property offers luxurious bed and breakfast accommodations with a marina and views of Mt. Katahdin. 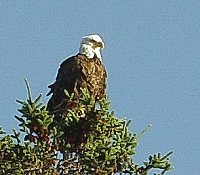 Many guests enjoy the fishing, paddling, hiking, wildlife watching and snowmobiling opportunities nearby. 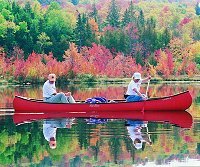 Rick LeVasseur grooms snowmobile trails that start at the bed and breakfast, making 5 Lakes Lodge one of the state's most scenic spots for trailside accommodations. A total of nine awards were presented during the conference, covering the categories of Accommodations, Arts/Heritage & Culture, Attractions, Food Service, Public Service, Recreation Suppliers, Retail, Transportation and the Governor's Award for Tourism Excellence. 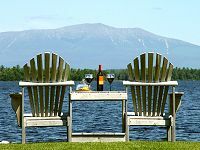 Each year the Governor's Conference on Tourism is an opportunity for Maine's tourism industry to come together for professional development and to recognize those whose service and dedication is commendable. 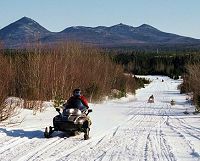 The 2008 Governor's Conference on Tourism will take place Tuesday, February 12 in Bangor. 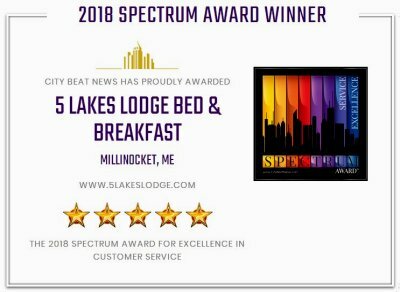 Yankee Magazine's "Best Mountainside Lodge"
City Beat's "2018 Spectrum Award"